I bought my fishing license this weekend. It was a simple process; sign a form and show my driver’s license. The cost was $35.00. My plan is to learn to fly fish from my kayak this summer. The other day I came across another license I was issued many years ago. 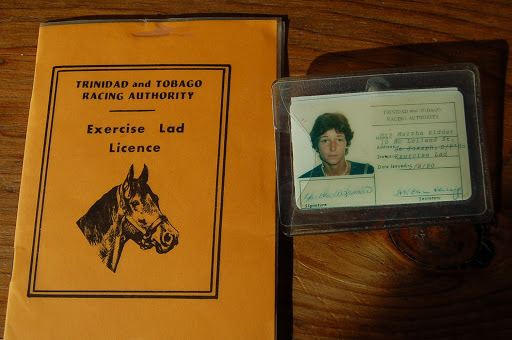 It is my Trinidad and Tobago Racing Authority Exercise Lad Licence #15 (yes, they spelled license differently). It was issued on May 8, 1980 and cost $10.00 TT, roughly half of that in U.S. dollars. I was interested in why there were two ways to spell “license”. Turns out the British convention is to use “licence” as a noun and “license” as a verb. Americans use only the one word to imply either a noun or verb. 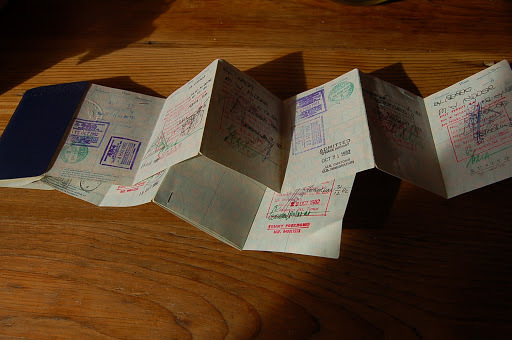 Passports have always been my license to travel. 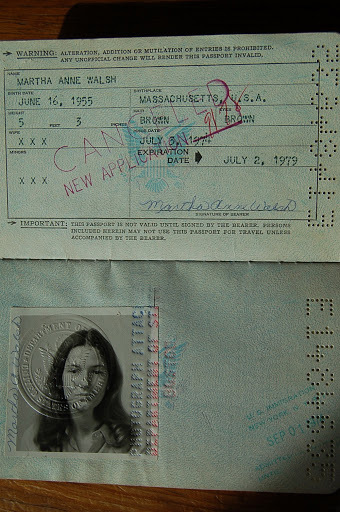 I found my first passport, issued in 1974. This is the one I am most proud of, issued in September of 1978. The cover image wore off over the years. When its pages were full, additional pages were stapled in to hold all my stamps. But the greatest license I have acquired so far, is the license to be me, to accept me, and to seek happiness. It sounds silly, but I have developed a routine of getting up every morning and singing the dogs and cats the old scouting song; “Good Morning to you, good morning to you! We’re all in our places with bright shining faces!” They always appear in complete agreement with my sentiment. This entry was posted in horses, riding. Tagged fishing, horses, licenses, passports, riding.